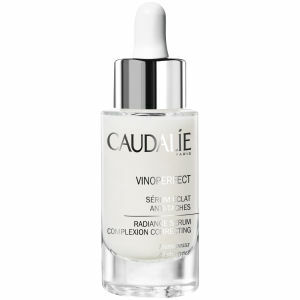 Calm irritated and stressed skin with the Caudalie Vinosource Moisturizing Sorbet. This gel-cream formula has immediate soothing properties and leaves skin refreshed and comfortable. Caudalie Vinosource Moisturizing Sorbet is a sensitive skin saviour blended with organic grape water to hydrate and calming chamomile. Ideal for any skin type that experiences reactionary sensitivity, this nourishing formula leaves skin clear, smooth and soft. 95% of those tested reported more hydrated skin. Apply on face morning and evening, after cleansing the skin and treating it with a serum. Avoid the eye contour area. This was my second purchase. I totally fall in love with this product. It keeps the consistency of the water in my skin and it smells good. I will try another product for sure. I' m using this with SOS Moisture serum. It moistures and soothes my combi, acne prone, sensitive, 30+ skin in winter season. In summer I would problably choose Mattifying fluid. I have never used caudalie products before so was quite excited to receive this in a beauty box. 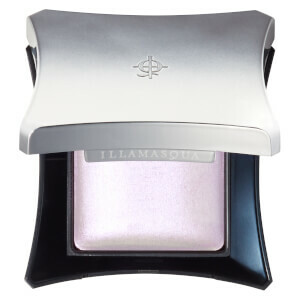 It has a gorgeous non greasy melting texture and left my skin feeling soft. I did however use it with the serum to good effect. I have very sensitive skin and it felt very soothing. A definite winner for me!!! loved this gel-cream, very soothing to my normally dry skin, did not cause any irritation and my skin has never looked to good. This moisturiser is a really nice texture and provides enough moisture for my dry skin. I heard it is a very good cream some days before, and I try it from here. I'm very happy to try it! Thank you! I found this moisturiser after quite a few years of feeling unsatisfied by whichever moisturiser I was using at the time. It works brilliantly. It is quite expensive but it is well worth it in my opinion - my skin responds so well and seems so much less red and sore now. I couldn't do without it! I'll be honest: I was a little bit disappointed with this moisturiser after reading all of the positive reviews. I was expecting something exceptional, however, it was just alright. I have quite dry, allergy prone skin. I didn't get an allergic reaction to this product, which is a big plus. However, it did not provide enough moisture. I will stop using this product for now and might continue using it in summer as it doesn't provide enough protection in winter/cold climates. Overall, not bad, but definitely too pricey for what it is. I really wanted to like this product but it just didn't work for me. Not very suitable for combination oil skin,but still feel good.